Clearly with absolutely nothing going on in the first few days in Port St. Lucie outside of a Zack Wheeler Wheeler sore elbow & Neil Walker hitting a snag in contract discussions with Mets management & ownership. 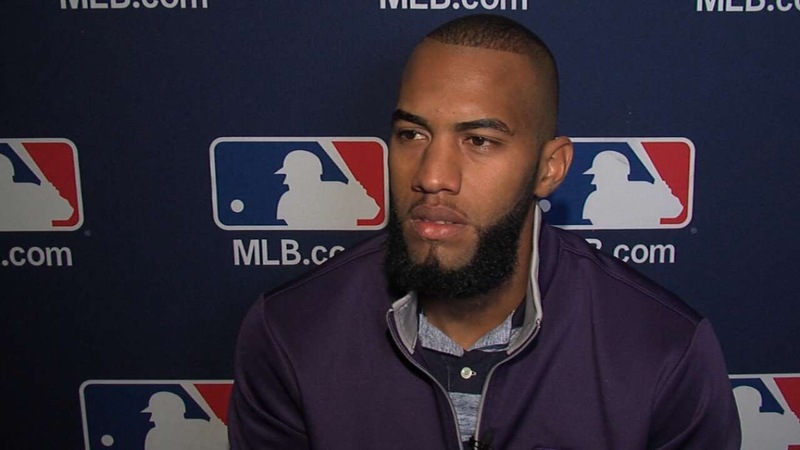 So there’s not a lot of options for players to crush on right now so let’s go really young with Amed Rosario who has already made some waves this off season. GM Sandy Alderson made it clear through the media that Rosario is virtually untouchable in any trades & that it would be a waste time for other GM’s to ask about him. In January, the well respected publication “Baseball America” which focuses on prospects had Rosario on the cover which in my opinion means a lot to get the first cover of the year. “Baseball America” believes that Rosario has the potential to be an all-star with the potential to also be a top of the line-up gold glover which is all extremely high praises by the publication. They also note that since Asdrubal Cabrera’s contract ends at the end of the 2017 season, Rosario should be expected to be a full-time regular at some point of the 2018 season. So even though nothing has really happened, Mr. Rosario you earned my very first #MetsCrushMonday & I can’t wait to see you here in Las Vegas at some point in 2017. Next Is Conforto ready to bounce back along side the Mets?